In 2012, GJC was contracted to assist DoHA to develop and produce the inaugural Social and Emotional Wellbeing (SEWB) Program National Conference on 4-7 June 2012 in Adelaide, South Australia. The national conference brings together staff and services funded under the SEWB Program for the first time. These programs include: Link Up, SEWB counsellors, Workforce Support Units and Registered Training Organisations. The Stolen Generations Alliance, National Sorry Day Committee, and the Australian Institute of Aboriginal and Torres Strait Islander Studies will also be represented at the national conference. There are around 300 delegates expected at the conference which will deliver both plenary and workshop sessions. As part of its role in producing the national conference, GJC also designed a communications and marketing strategy to assist in conference participation. This includes a monthly e-newsletter, a dedicated conference website, direct mail and telemarketing. 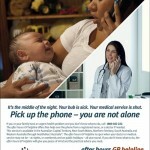 GJC was contracted to develop an Aboriginal Prenatal Mental Health and Drug and Alcohol Campaign in 2011. GJC developed an innovative and dynamic suite of campaign creatives which speak to our primary target audience in an Aboriginal voice, with simple, clear and visual messages and images. The collateral developed and its distribution strategy, draw on the formative research undertaken for the Campaign and incorporate GJC’s experience over 18 years producing successful campaigns for Government. The campaign involved developing radio advertising, posters, postcard, a comic book and a facebook page. The Campaign is currently being finalised, with focus testing indicating a strong resonance with the target audience. 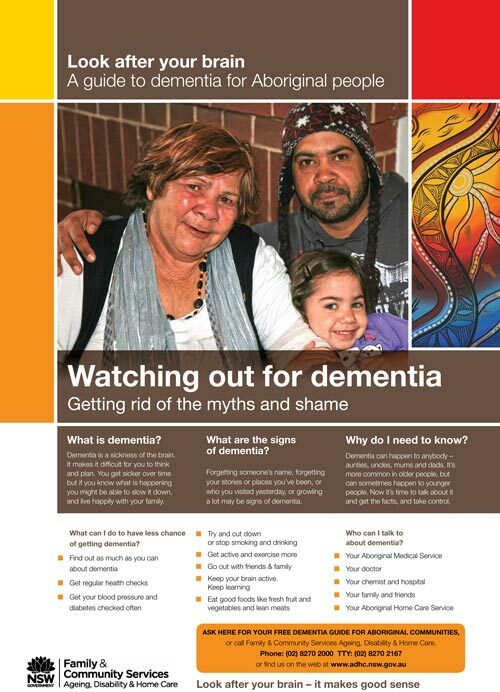 GJC was contracted by ADHC in 2011 to research, write and design the dementia resources for NSW Aboriginal communities which resulted in a 32 page booklet and accompanying poster. The resources address what is dementia, dementia risk reduction (necessarily including chronic disease management), and how to care for a person with dementia, as well as where to seek more information or assistance. 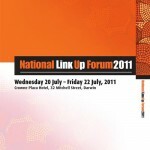 In July 2011, GJC was contracted by the Department of Health and Ageing to scope and produce a national forum for the Link Up Program. This involved developing the three day forum agenda with a Link Up reference group, contracting and managing facilitators, and organising all aspects of the conference including art workshops, cultural activities and opening and closing ceremonies. GJC was also tasked with producing a good practice guide post forum for distribution as a reference resource across the Link Up program and fully evaluating the outcomes of the forum for OATSIH. Evaluation required the development of a survey instrument and subsequent analysis, including recommendations for future forums. 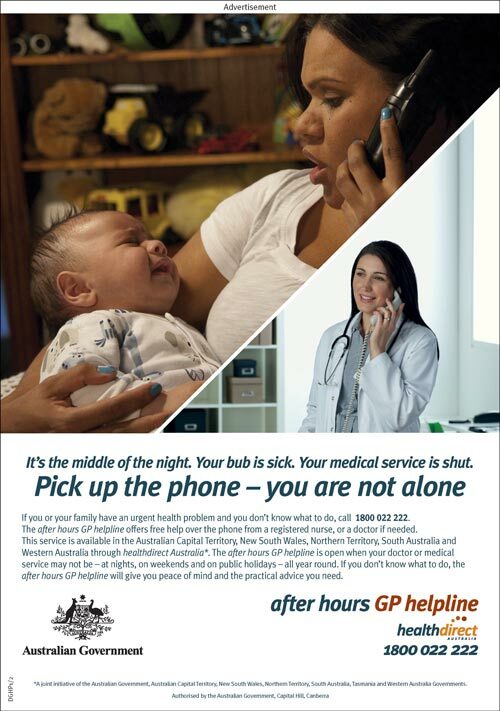 Description: In May 2011 GJC was contracted by the Department of Health and Ageing to provide strategic advice and services to ensure a culturally appropriate communication approach for Aboriginal and Torres Strait Islander audiences, which met the objectives of the after hours GP telephone advice service communication campaign. 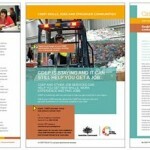 GJC developed a stakeholder and distribution strategy for the campaign, appropriate branding, taglines and key messages, produced a poster and resizing of the poster for print advertisements, and developed media releases for distribution using an Aboriginal and Torres Strait Islander doctor and a high profile Indigenous role model. Description: In 2010 GJC worked with FaHCSIA over a period of six months to produce a series of good news stories around Remote Service Delivery in the Northern Territory. GJC liaised with remote communities on the story, scripted, shot, edited and delivered 7 stories which have now been put up on the website, www.indigenous.gov.au. GJC also managed two local suppliers, Mulka TV and PAW Media, in the development and delivery of DVDs based on local stories. This was an extremely successful project the result of which is some very powerful stories. It was also a great exercise in working with local suppliers to deliver a program which was consistent with an overall look and feel, but had a local flavor. We delivered on time and on budget. These good news stories are now on the FaHCSIA website and have been well received by the communities involved. In 2010 GJC was contracted to develop an online toolkit for employment service providers to assist providers to communicate with their stakeholders, from community through to participants and potential participants in employment programs. It contained useful templates that could be reproduced and distributed through service provider networks and to the general public. There was also a range of templates that could be adapted for local use, through local imagery, so that providers could implement a local communications’ campaign. The toolkit was designed as both a reference and a practical tool and also a learning resource to guide future communications generally. The toolkit also promoted Government services and showcased the employment program’s contribution to the ‘Close the Gap’ initiative. 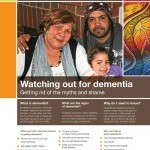 Description: In 2008, GJC developed a comprehensive communications strategy for Indigenous Australians and their service providers that aimed to motivate and actively encourage changes in behaviour (at this stage with physical inactivity and poor nutrition) to reduce the prevalence and impact of chronic disease on the Indigenous population. This was a clear case of taking a mainstream approach towards a sensitive issue and adapting it for an Aboriginal and Torres Strait Islander audience. Working with the Department and stakeholders, GJC engaged role models to be used across all elements of the campaign and produced a series of posters, radio advertisements, an information booklet and merchandise for Indigenous Australians, as well as a series of advertorials and editorials for distribution to key Indigenous media. We also coordinated direct mailing of all materials to our databases. We also worked on the second phase of this campaign, which involved a series of Tomorrow People tours in rural and remote locations and the production of DVDs. We delivered on time and on budget. Feedback from communities engaged in this campaign was positive. 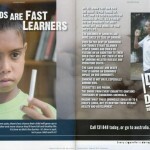 Vibe Australia, the sister company of GJC, developed the Indigenous Component to the Federal Government’s National Tobacco Campaign, entitled “Ditch the Durries”. It has involved writing and placing stories in Deadly Vibe magazine and In Vibe magazine over a two month period, conducting a photo-shoot, producing posters, conducting radio interviews on Deadly Sounds, writing and recording two radio ads, and conducting a series of rap competitions at four Vibe 3on3® locations. Vibe Australia is also responsible for designing and creating the “Ditch the Durries”, (vibe.com.au/quitnow) as part of the campaign. GJC, through Vibe Australia, responded to a need to have an Indigenous component to the National Tobacco Strategy, and submitted a proposal which was accepted. 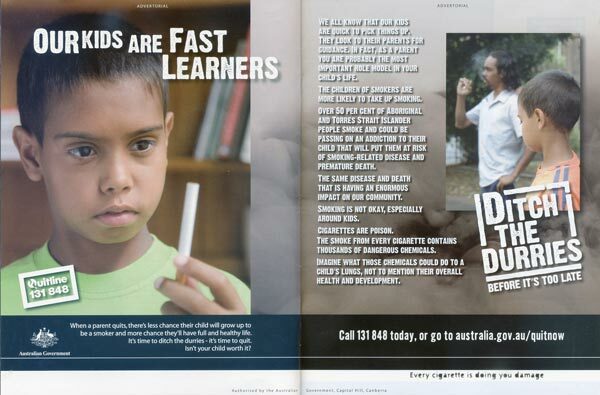 DHA was developing and implementing a National information campaign to support the Tobacco Strategy. There was a need for an Indigenous component to this campaign. DHA required this information to be communicated in a clear, culturally sensitive and meaningful way while still being consistent with the mainstream approach. GJC committed to writing and placing stories in Deadly Vibe and In Vibe over a two month period (February – March 2007). Each month we focused on a different tobacco-related issue. These stories were backed up by interviews on Deadly Sounds over the same two month period. GJC also developed and is in the process of implementing the Ditch the Durries Rap Competition to be held at four Vibe 3on3® events (Kempsey in March, Rockhampton in April, Murray Bridge in May and Kununurra in June 2007). This involves helping event participants to write anti-smoking raps are then recorded with backing tracks. The best raps are produced put up on the vibe website. Winners of the rap competition in each location will be awarded a CD walkman. 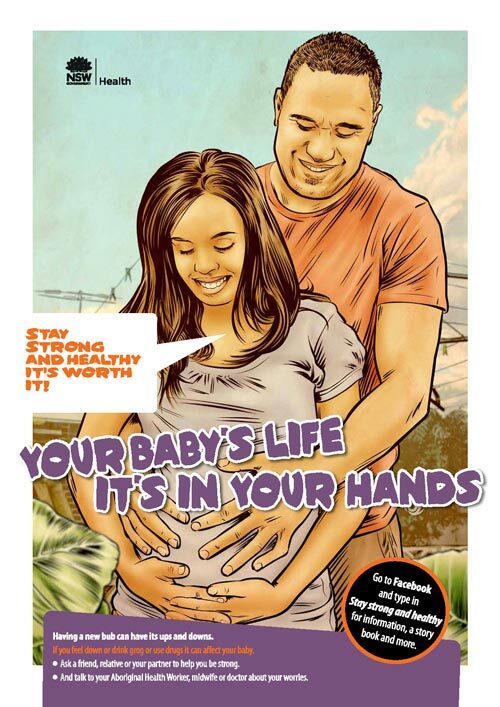 GJC has also produced two posters to be sent to Aboriginal organisations including schools, government organisations, medical services and Land Councils. All materials will be placed on the campaign specific website at vibe.com.au/quitnow . GJC is working in collaboration with a mainstream advertising agency and the DHA to ensure campaign coherence and integrity, and to ensure all key messages are being delivered. 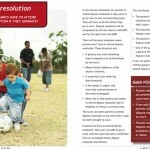 GJC created the Indigenous components of the Family Law Reform community education strategy. This involved the development and production of a number of Indigenous-specific educational materials, media relations and an extensive database.The Indigenous communication components were required to complement communication initiatives targeting mainstream and NESB target audiences. GJC submitted and won a competitive tender for the Family Law Reform campaign based on our understanding of the brief, our experience in Indigenous communications and the quality of our team. Changes to the Family Law Act required a community education campaign to inform the target audience of these changes and ensure all target audiences become aware of the role, expansion and establishment of new family relationship services to support the Family Law changes. 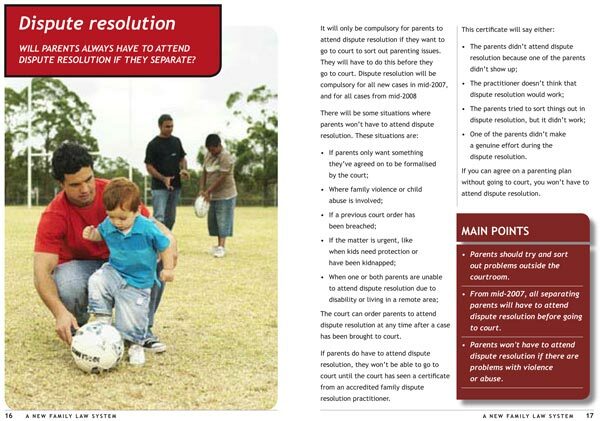 The ultimate aim is to support Australians to actively manage their relationships, and encourage parents to seek to resolve post separation parenting issues by agreement focusing on the best interests of their children. 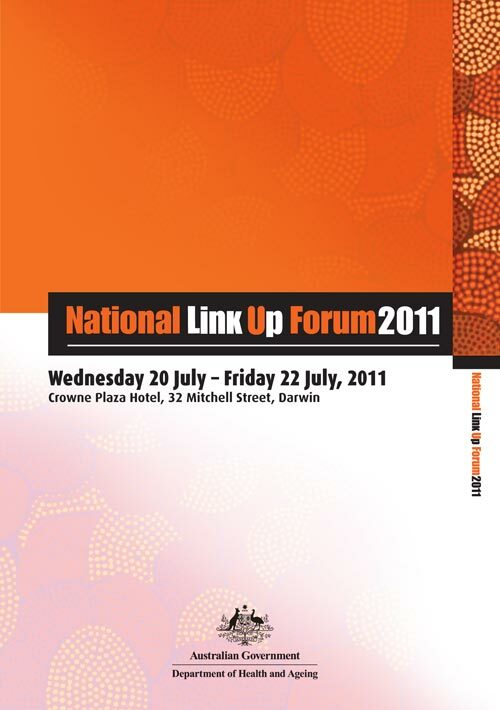 Further to this, due to the lack of formal information services on Family Law issues and the general lack of knowledge about Family Law within many Indigenous communities, an awareness campaign that involved educating the Indigenous community on the role that Family Law plays in post-separation parenting issues was required. GJC believe it is accurate to say that a next generation of Aboriginal and Torres Strait Islander Australians growing up strong, smart and healthy is seen as a community aspiration. For this reason, “the children” was the backbone of our campaign approach and the hook to achieve communication cut-through. GJC understands that within Indigenous communities, raising children is seen as the responsibility of not just the mother and the father, but of the extended family and the wider community. This meant that, along with the parents, the extended family also needed to be made aware of the changes to the Family Law system. Further to this, due to the lack of formal information services on Family Law issues and the general lack of knowledge about Family Law within many Indigenous communities, an awareness campaign that involves educating the Indigenous community on the role that Family Law plays in post-separation parenting issues was required. To address these issues, GJC developed a series of posters, a series of advertorials, a radio advertisement and an information booklet. GJC also developed an extensive and comprehensive database for the purposes of the mail out of these materials to Indigenous legal services and other Indigenous community organisations. This database was also used to provide the new Family Relationship Centres with key community contacts in their area. GJC also developed an information sheet to be distributed to Family Relationship Centre staff to increase their understanding of the Indigenous community and how to most effectively work together with Aboriginal and Torres Strait Islander individuals, families and community leaders. GJC also developed and implemented a public relations campaign and had articles placed in a number of Indigenous publications. Advertorials, radio advertisement and public relations articles were distributed and placed in Indigenous media outlets, and received a positive response from the community. Indigenous community information was distributed to Family Relationship Centres, with a high level of positive feedback being received. Gavin Jones Communications was commissioned to develop and implement a communications strategy for Indigenous road users. 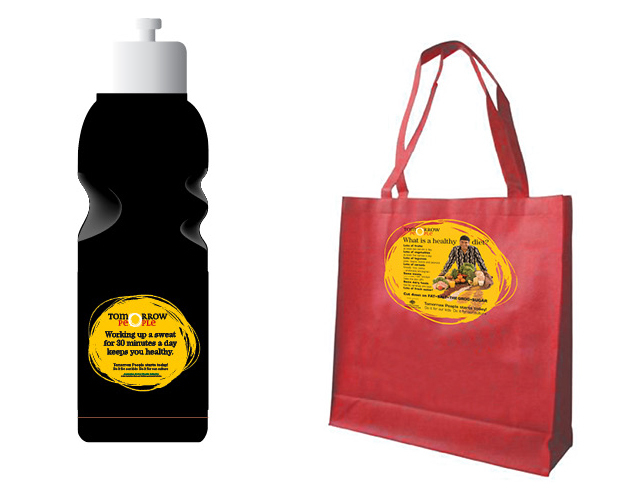 This involved production of posters, brochures, merchandise, press ads, radio ads, media liaison and strategic advice. GJC also produced a calendar for the RTA. 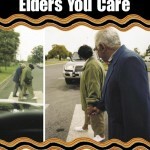 At a higher level, the program required the development of an overall brand and approach to communicating with Aboriginal people across NSW with the complex message of road user safety. GJC was approached by the RTA to submit a proposal. GJC has a reputation for working to strict deadlines, and time was of the essence in this campaign. We also have a reputation for high production values and creative approach. We pride ourselves on looking at all the complex threads and constraints of the problem. The RTA has a strong commitment to communicating with Indigenous people, and needed communication products specifically tailored to this audience – product that was identifiably Indigenous, and addressed complex issues of road safety from an Aboriginal perspective. Moreover, this was the first time that such a message was delivered, and this contract material would create an RTA/Aboriginal brand. GJC developed artwork, imagery and copy that was identifiably Indigenous with a strong NSW flavour – covering all aspects of road user safety. Production values on all product delivered to the RTA was very high, with punchy slogan and copy. GJC commissioned artwork to form visuals for the RTA / Aboriginal brand. An ambitious 2-day photo-shoot was coordinated and some 75 photographs taken. 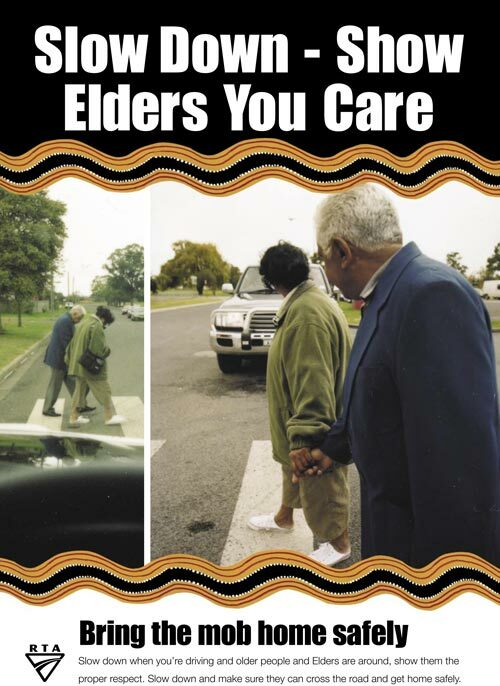 GJC developed a series of eight brochures, posters, radio and press ads on the areas of Speeding, Drink Driving, Pedestrians Elder, Pedestrians Kids, Bicycle Safety, Restraints and Overloading. GJC also developed a NAIDOC poster and radio advertisement. Due to the success of GJC’s imagery, RTA commissioned GJC to produce a calendar covering road user safety issues. The slogan which GJC devised, ‘Bring the Mob Home Safely’ is being widely used and establishing itself as a strong brand within the RTA. RTA is in negotiations with other State roads and traffic authorities to use the brand nationally. 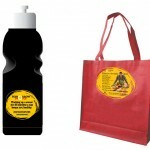 RTA has also developed extensive merchandise incorporating the brand. This year GJC was appointed to the Design Panel of the now RMS.